Early the next morning, we took the subway (couldn’t have been easier!) to the Yuen Po Street Bird Garden, where old men walk their birds and socialize. We bought a bird cage, and set off to explore the flower market. On a weekday there wasn’t much going on here – just a couple of flower stores, but nothing that special. 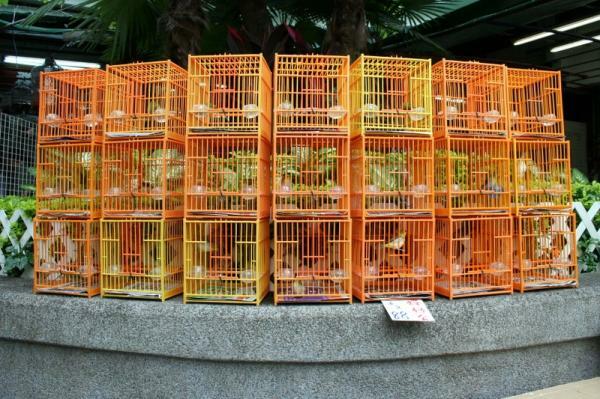 Birds waiting to be sold at the Yuen Po Street Bird Garden, Hong Kong. 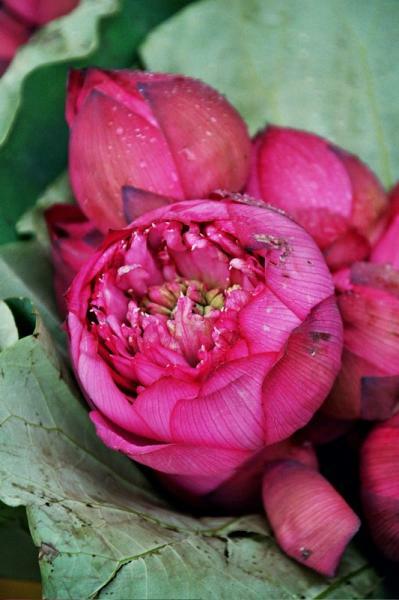 Lotus flowers for sale on Flower Market Road, Hong Kong. 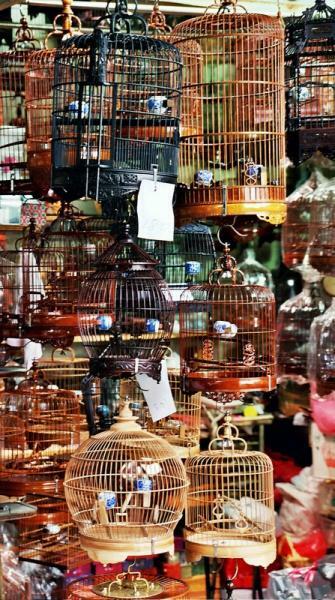 Bird cages for sale at the Yuen Po Street Bird Garden, Hong Kong.